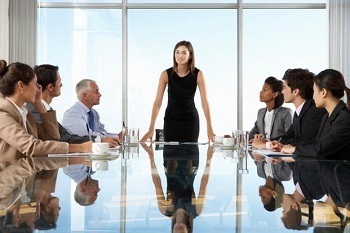 Without doubt, the most commonly cited defence I hear from business leaders who have little or no gender diversity in their management teams is that there is simply no pipeline of talented women for the roles. The talented women that may have existed at more junior or mid-levels all went home to have babies and chose family over career. It is time we finally debunk the myth that mothers are not working, or that if they are working that they do not have high career aspirations and the need to financially provide for their children. Seventy-three per cent of mothers with children under the age of 16 in Canada are working. More importantly, women are increasingly the most significant, or sole, breadwinners in their homes. In Canada, women are the primary breadwinner in 30 per cent of households. In the U.S. that number is 40 per cent. Not only are women working, but their success in their careers is critical to their family's well-being and future. One element which skews the perception of senior executives on women, work and children is their position in the top 1 per cent club, i.e. those with incomes in the top 1 per cent of the Canadian population. Senior executives are typically very well compensated. They have the luxury of choosing to have a single income earner and one partner at home. Chances are, most of their peers and friends have had that same experience. It is easy to assume that one's own reality is representative of the majority, but senior leaders need to remind themselves that it is only representative of 1 per cent of the population.